The start of each new semester is always a hectic time for Linda Mesa. Flurries of calls and visits from potential students all inquiring about different types of courses available through Continuing Education. Once a new student enrolls in a course of their choosing, Mesa then inserts their information into the system for finalization. As a records and report administrator for the Corporate and Community Education division, which is located within the Executive Offices, this is the best part of her day. Entering her fifteenth year at Palo Alto in this role makes her happy. Mesa is glad to help others with information in any course from General Educational Diploma (G.E.D) classes and exams, English as a Second Language (ESL) classes, to Allied Health or General Office Work classes. A native San Antonian, Mesa grew up on the South Side of the city and graduated from Luther Burbank High School. 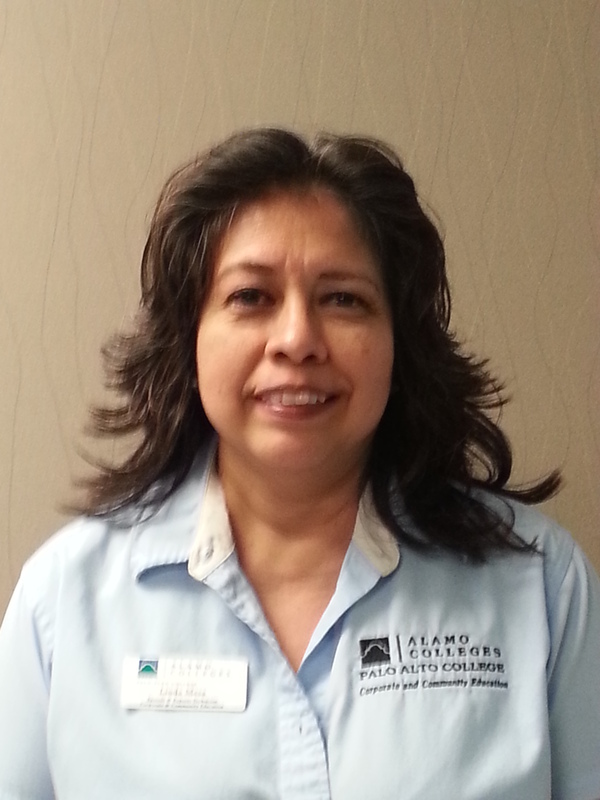 She enjoys listening to Tejano music at every chance she has, in her office, in her car and at home. In her off time Mesa enjoys doing yard work and tending to her plants at home as a way to relax. As a newlywed married a month ago, Mesa and her husband both enjoy eating Italian food, with Chicken Alfredo being her favorite dish by far. Her passion for movies is not far behind. Dramas and comedies are her two favorite types of movies to watch anytime. If you have any questions about any CE courses, please visit Linda Mesa. She will be there waiting and glad to help you.